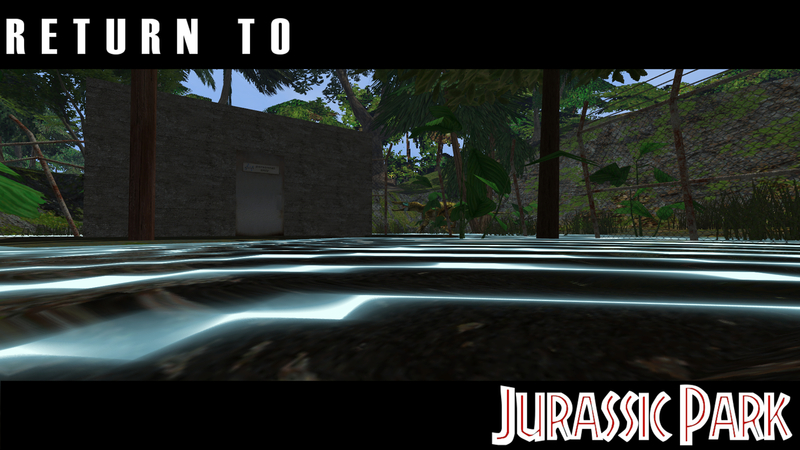 You read the title right - I'm releasing the most recent/last abandoned RTJP level! 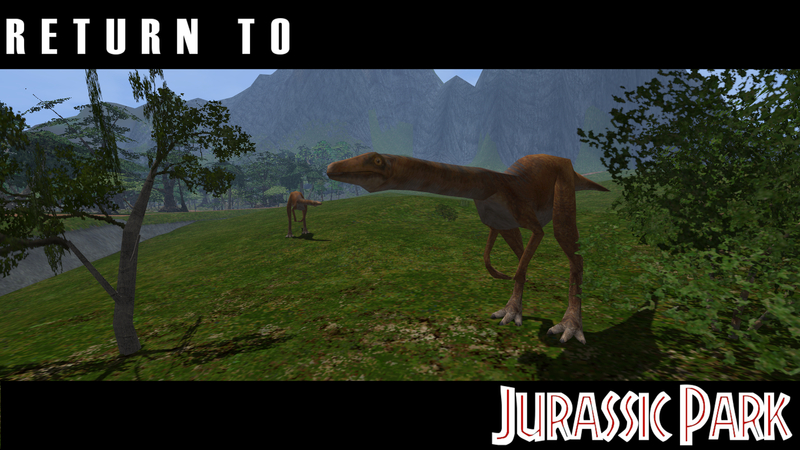 This is the 2nd version of RTJP I worked on while posting on TresCom, and the precursor to the current (final) version. This level still retained the single-level concept and contains a lot of new stuff and places to explore. There are a fair share of new models and even a couple of surprises which you might stumble across playing around in the more complete areas of the level. This also happens to be the level I showcased in my demo playthrough, which means everything you saw there is playable - I have inserted a Teleport instance at the place where that demo video began, so you should be able to use the "tnext" cheat to warp to the start of that area. Unfortunately, there is one catch - there were a number of models in this level which will be featured in the current version of RTJP which I would rather not release at this time. 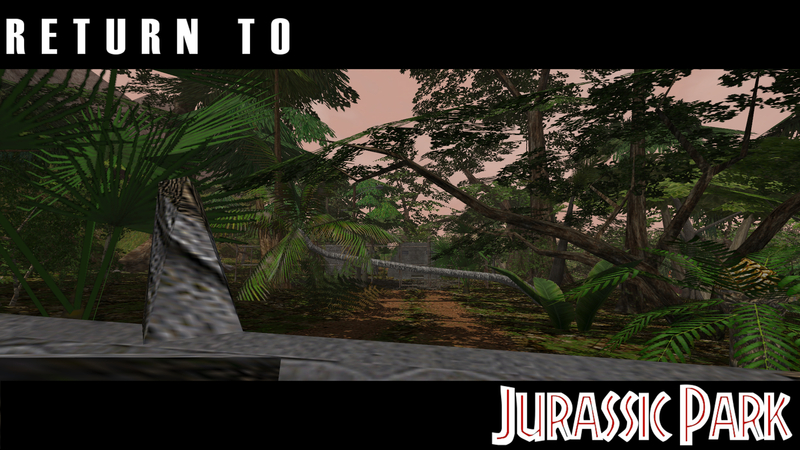 Therefore, I have removed all of those meshes from the level; this included all of the dinosaurs, which have been replaced with their counterparts from other levels soas to keep the level playable. This package also does not include the custom TPAs as those were scrapped, so instead I went through and replaced every new sound I could find with retail Tres ones (I forgot the dinosaur vocals, so you'll have to excuse all of the basketballasauruses). Last I checked, this level should be playable in CE, though I can't guarantee that it works as I haven't playtested it in years. As I said, I did my best to patch up any holes created by my meddling and deleting stuff, but I may have missed something. As with the other early RTJP level releases, you are free to use any of the assets found in this level for your own levels. Have fun! *cracks knuckles* Okay here goes. First awesomeness note is the Tres-particle water splash around the stream next to the awesome-non-security-gate! Imagine if retail Tres did this for the IJ2 waterfall. After a considerable amount of walking, finally trees and mountains in the distance! I find what might be a repurposed block-house with nothing inside, followed by not-a-bridge. Successfully crossing the stream anyway, I find... not-a-road! Well, some of them. The four paras weren't really moving. 'Nyways I am on the other side of a perimeter fence, can't climb it.. so, I finally cave and activate fly-mode to go towards the cool stuff. Finally on a road with a confident destination, I decide to call it quits for this part of the tour, to pick it up again tomorrow where I left off. Tell them to get back in the \mods folder. Glad to see you're enjoying looking around the level, Drac. It probably feels pretty labryinthine if you aren't as familiar with it as I am. If only I could get to IJ-HD faster... As a note, this effect will also be present in the current RTJP. Yeah, never really did know what to put there to be honest. For a long time, I'd been considering having a tunnel which leads from that plateau overlooking the windmills which leads you down to the area where you encountered the "not-a-bridge". That weird path zig-zagging up the hillside was meant to lead behind a waterfall into the entrance to the tunnel. You'll be glad to hear that the current RTJP omits all that road walking, and the few areas where you are just following a road will be put to use via dialogue or something else interesting. 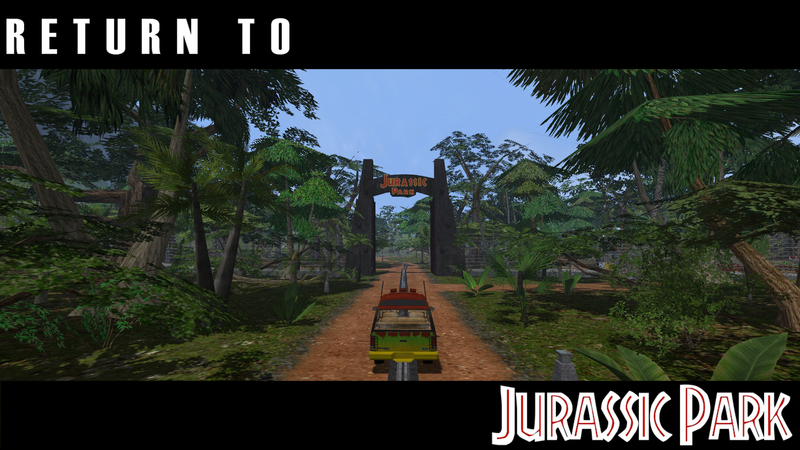 There will be no empty walking here in Jurassic Park. The four paras weren't really moving. Ah, damn. I literally just took them from JPDS~Dinos and slapped them into the level. The old paras had a WakeUp distance of 100.000, from what I recall, so they would have awoken as you came to the lake. You're only now reaching the most complete areas, actually. I highly recommend that (after you follow the road and check out the stuff there as I mentioned above) next time you use the "tnext" cheat to warp yourself to the main playable area, so that you don't miss anything. 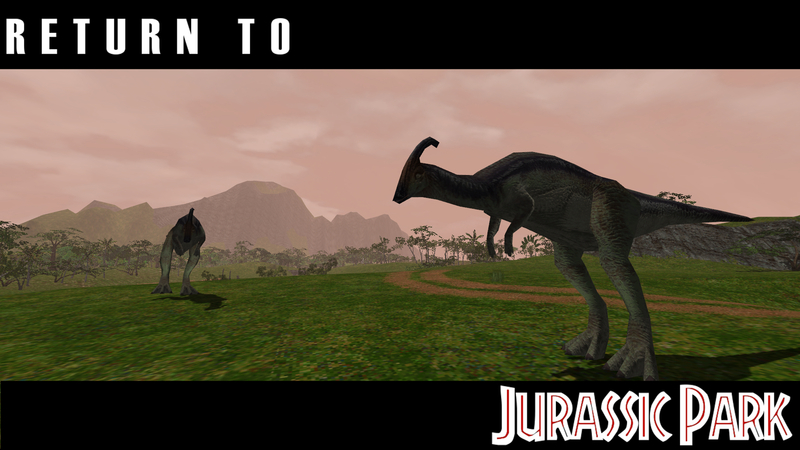 In the mod, you wouldn't have been able to get to that road directly from the brachiosaur paddock - check around the lake for where you're meant to go from there. Ah, I remember helping you with some things on this. Time to see what progress you had made, thanks TI! I'm pretty sure most of what you worked on for me was in the version before this one, but I could be mistaken. That was a LONG time ago. You're still in the credits regardless. I believe it was this one if progress started around 2014-2015. I might be wrong but *shrugs*. I still remember doing the InGen crates and JP worker hats. I'll be doing a playthrough with commentary review of the level tomorrow so stay tuned. Just to be sure you guys understand (this goes for Draco as well) - this level isn't in any way, shape, or form representative of the current state of RTJP. I just figured I may as well release it for people to check out, since it's no longer of use to me. Of course, I'm just intrigued by the progress you have have had. 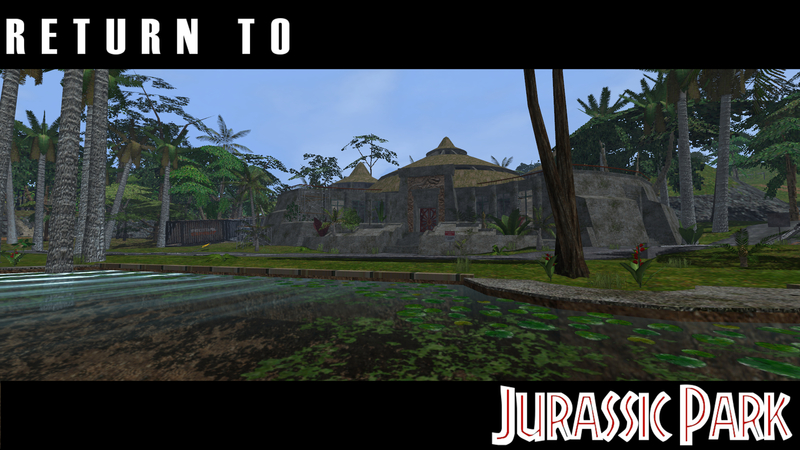 It is such a step-up from your 2013 attempt and your next and (hopefully final) attempt can be a perfect recreation of that Nublar experience. Hell, I had more fun exploring the windmills and hill pathways in your level then I did in Jurassic Explorer's JP gamemode. The classic feeling of Trespasser just gives Isla Nublar an authetic video game feel, one you are very well at capturing. The current attempt is the final one, rest assured. 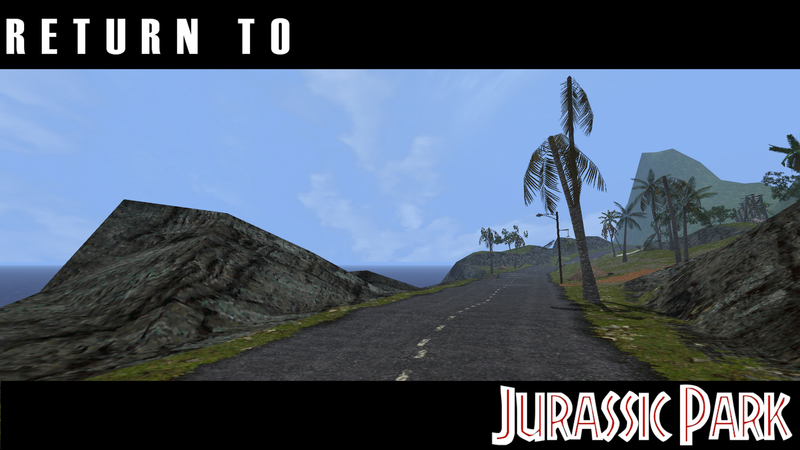 Jurassic Explorer is a cool concept, but it's very sloppily executed in my opinion, and I strongly dislike the look of the game engine they used - it looks as if it uses the same generic assets as the Slender Man game from years ago. I don't think it's possible to really recreate a definitive Isla Nublar since there's so little we know about the rest of the island. Much of what I came up with is a hodgepodge of all the various maps we've had of the island from the movies, but even then a lot of it doesn't add up. There are also of course the limitations of Trespasser itself. 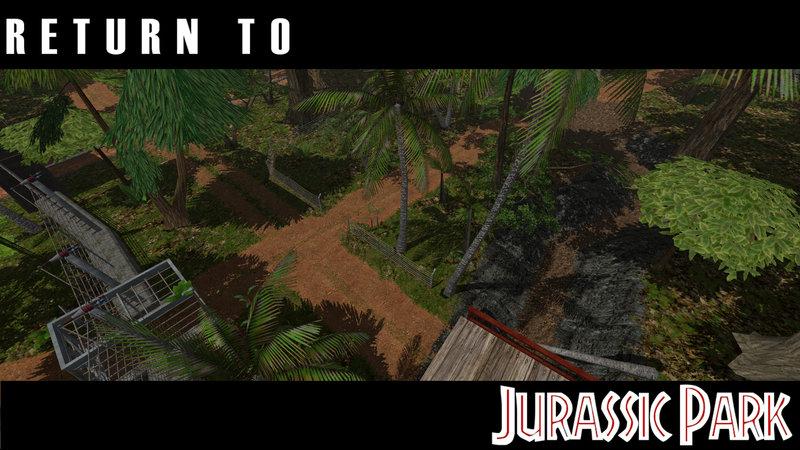 I could have made the map much larger (the island in the current version is about half the size of Trespasser's Isla Sorna, for instance) but then the levels would have had to shrink so much that I may as well have just made it a single-map "best of" stage. Maybe one day I'll import a rough Nublar terrain at 1:1 scale just to show exactly how large Nublar really is. I still doubt you could match the geography of the real locations from the movie with what we know from maps and have it all fit into a realistic-sized Nublar. I don't think it's possible to really recreate a definitive Isla Nublar since there's so little we know about the rest of the island. Much of what I came up with is a hodgepodge of all the various maps we've had of the island from the movies, but even then a lot of it doesn't add up. So I looked through most of it, while I am impressed I think restarting the project in parts was a good idea. While it was fun to explore 'open-world' Isla Nublar, the open world setting made it fell condensed as well has it having problems with the engine limitations. When looking at it, it does look beautiful, the open world. 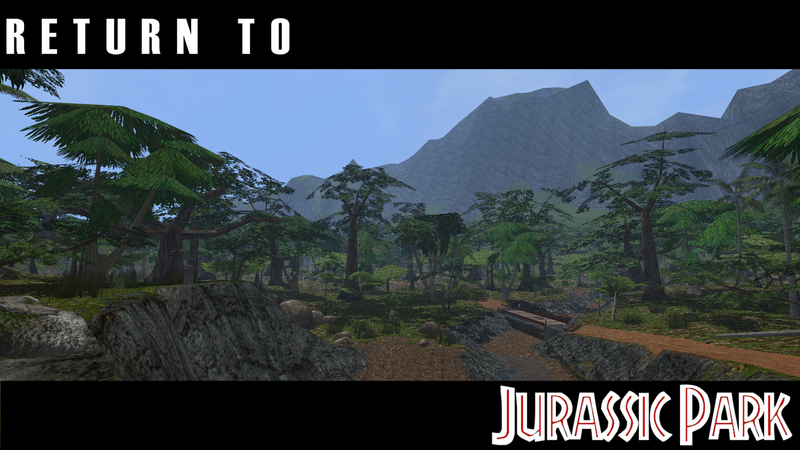 Looking over the herbivore valley from the hotels felt majestic even thouhg you knew most of the level wasn't finished. The part where you begin felt like a great opening but then you found you can explore the park itself in different ways, this begins good but you find yourself lost and then suddenly you're there. This would be a good idea to do in parts because then you can explore WHOLE parts of the island in bigger scale areas (Draco's JPDS is a good explample of this). I definitely see what you mean there, Krit. The island was smaller than I would have liked, but that was done in order to keep the workload reasonable. The whole problem of getting horribly lost would hopefully have been fixed by the end. You'd have a map, and much of the island would be blocked off until later parts of the game. The VC area would have acted as sort of the "hub" from which the various parts of the part would be unlocked so as to prevent each act being too large - the story would have lead you in different directions, and the road signs would have guided you where you needed to go. 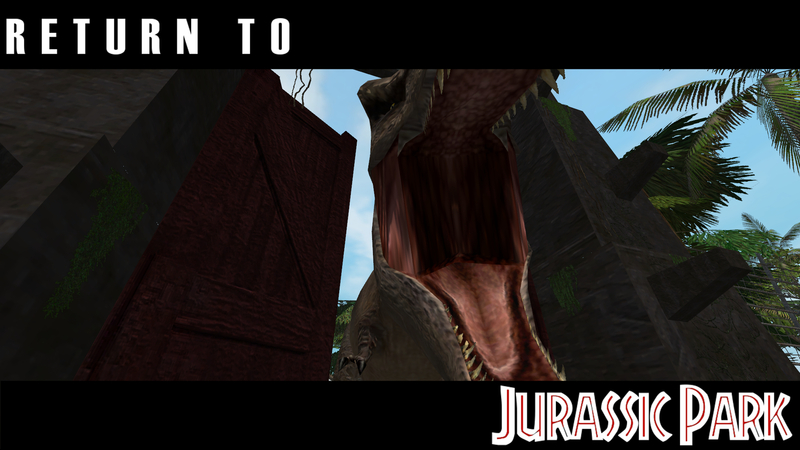 JPDS only occupies a tiny corner of Isla Sorna, and you wouldn't have really seen the rest of the island. 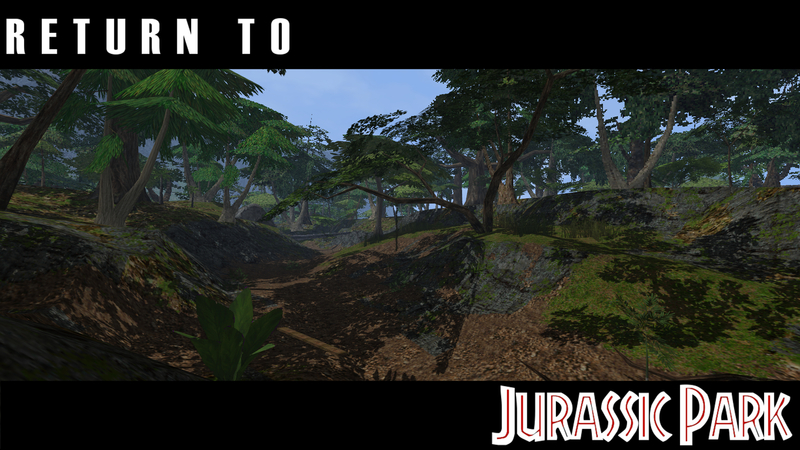 RTJP does still use a single huge Nublar terrain, but the difference now is that the island is doubled in size, and my mapping skills have improved such that things no longer feel horribly squished together. Like I said above, I could have done the island at 1:1 scale, but it would have been incredibly boring as much of the island is just empty jungle. Didn't TL1 have quite linear paths tho? Blocked with bushes?